Mainstem Malt - Light Munich Wheat - per lb. - F.H. Steinbart Co.
Home / Ingredients / Malt/Grain / Domestic Specialty Malt/Grain - per lb. 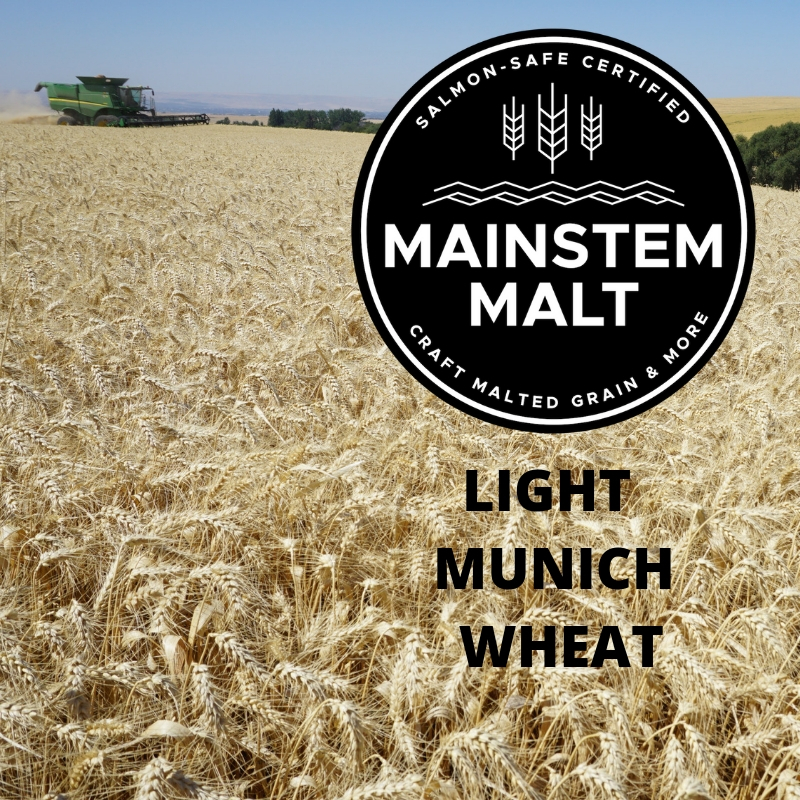 / Mainstem Malt – Light Munich Wheat – per lb. A delightfully unique wheat malt, carrying toasty and sweet aromas, light caramel flavors and a satiating depth. Product Description: Light munich malted Jet hard red winter wheat, grown and harvested in 2016 in the Walla Walla Valley foothills, Russell Creek zone, Washington. Malt Notes: Toasty, warm, familiar; creates an inviting depth of flavor within a delightfully unique presentation. Mainstem Malt - Full Pint Vienna - per lb. Mainstem Malt - Pale Malted Wheat - per lb.